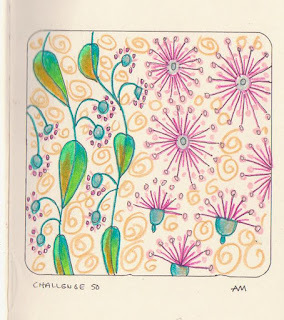 Ive been a busy girl tonight as I have completed 3 Challenge #50's. Must be a record for me. They dont seem to come up as good scanning them but theres not much i can do about that. 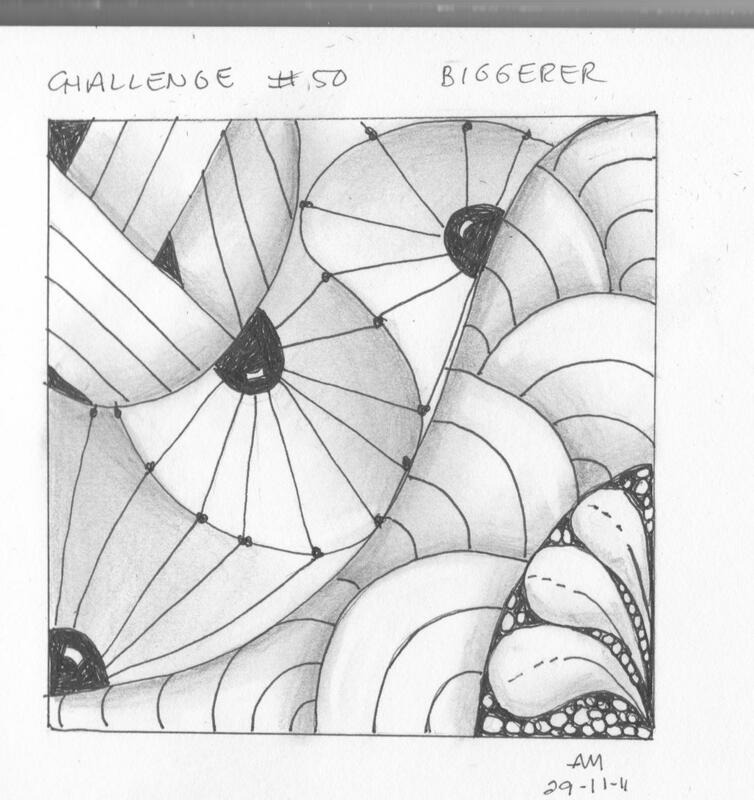 For our Diva's challenge this week we were to make a zentangle using larger than usual size tangles. Took a while to get the brain around this, but here are my attempts. 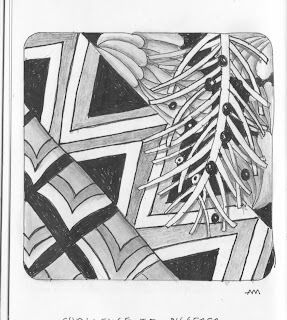 The third one has my own tangles of eucalyptus flowers. The first two didnt look much at first, but when I put on the shading, they seem to come to life. 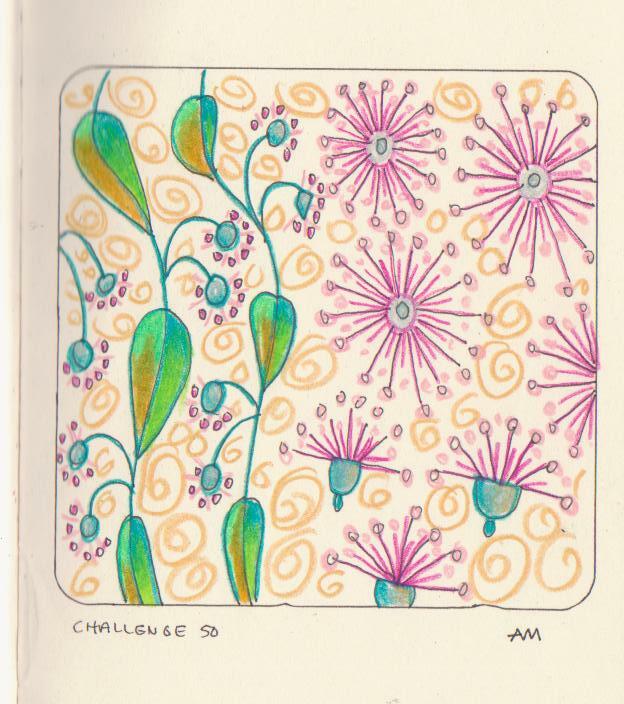 Of course I couldnt resist colouring my own tangles!! I have played around with Zentangles, so much fun. What you have done here is fantastic! They are all great, but that first one is fab-u-lous! these are awesome! the way verdigoh overlaps the others on the second one really makes that one work beautifully. So interesting! I love the color in the last one. wow that first one is especially cool Anne... looks like the Gehry type panels... the tonal work makes it have all sorts of movement.... bet you are on the countdown now!! !